Circle City Outdoor has sold a two sided 12 by 40 billboard in Clear Lake Iowa. The Clear Lake Billboard was 6 hours drive from Circle City’s Indiana signs so it made sense to sell it in order to focus on Indiana. 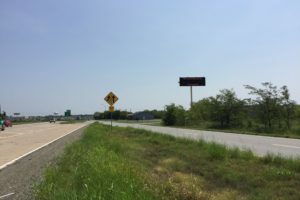 Circle City outdoor has added a one sided digital billboard in Sherman, Texas. The billboard is along US Highway 82. A picture and an approach video of the sign are shown below. Advertisers can contact Dave Westburg, circlecitybillboards@gmail.com, 206-910-1283. Crains Indianapolis has an article titled Billboard brouhaha becomes boon for Circle City Outdoor. 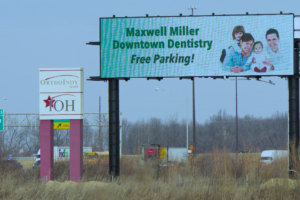 The article talks about our January 2017 purchase of billboards from Fairway Outdoor and Clear Channel Outdoor.